Wheel of Chance Five Reel Slots is a TV-game inspired slot that is capable of handing out solid rewards to its gamblers similarly to the famous money-awarding wheel that many people enjoy watching every night. This version of Wheel of Chance features a gorgeously coloured background. The royal, rich blue is a perfect backdrop for the detailed and various elements of the slot’s gameplay. 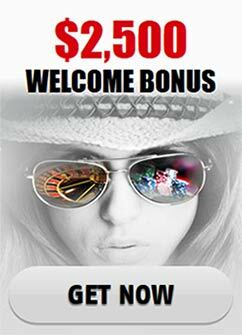 The slot has five reels, 20 paylines, wilds, scatters, bonus symbol, free spins, bonus games; it pretty much has the full package for a fully enjoyable, fully realized slot. The possible coin values start at 1 cent and go as high as 10 dollars. This makes the minimum bet 20 cents and the biggest possible-200 dollars. The game’s wild represents a big Diamond. It has the ability to replace nearly all the other symbol in the game. The only two irreplaceable symbols are the Scatter and the Bonus ones. Whenever, the wild is put to good use and completes an otherwise unfinished winning combination, the payout of that will be doubled. Pay in mind that it doesn’t matter if the wilds are one or two when they participate in a winning combination; the payout would again be increased just two times. The slot’s scatter is the beautiful girl spinning the wheel. You will need at least three of those gorgeous ladies in order to activate the free spins round. When you do, 10 free spins will be awarded. Everything you win during the free spins will be multiplied by three and naturally you can restart the free spins whenever you want. The scatter symbol also provides payouts in the form of multipliers. It has four matching symbol combinations-from 2 to 5 symbols that give the following multipliers on the spin’s earnings: 2 times for 2 symbols, 5 times for 3 symbols, 20 times for 4 symbols and 500 times for 5 symbols. The bonus symbol of the game makes an appearance only on the second and the fourth reel. When two Bonus symbols show up at the same time on the second and the fourth reel, the Bonus Game of Wheel of Chance 5 Reel Slots will be activated. The so-called Wheel of Chance will appear on the new screen that pops up. The Wheel will spin and then stop at a certain amount which the player will win. The gambler will be then given the chance to spin again and get a whole new prize or keep what he or she has already earned. You will get to see all the available payment awards on the wheel so you will be able to judge by yourself if you would like to risk to get to another sum. The remainder of the symbols in Wheel of Chance 5 Reel Slots involve a bunch of holiday-themed objects and the letters A, E, I, O and U. The best paid symbol is obviously the Diamond, which pays 8000, 1000, 100 and 10 coins for its 5-symbol, 4-symbol, 3-symbol and 2-symbol combination. The second best paid symbol is the stashes of money which can deliver 1000, 100, 20 and 2. The Yacht delivers 500, 80, 15 and 2 coins. The car pays 400, 80, 15 and 2. The happy beach-goer, sunbathing under the umbrella will illuminate your wallet with 300, 60, 10 and 2 coins. The suitcase and the ball symbol can grant 300, 60, 10 and 2 coins. The rest of the symbols only have three combinations from 5 matching symbols to 3 and these are the letter icons. The A and the E pay 200, 40 and 5. The I, the O and U provide 100, 25 and 5 coins. Wheel of Chance Five Reel Slots is the vastly updated version of its Three Reel counterpart, providing not only bigger payouts but also a more diverse gameplay and it certainly joins the ranks of the best slot games out there.